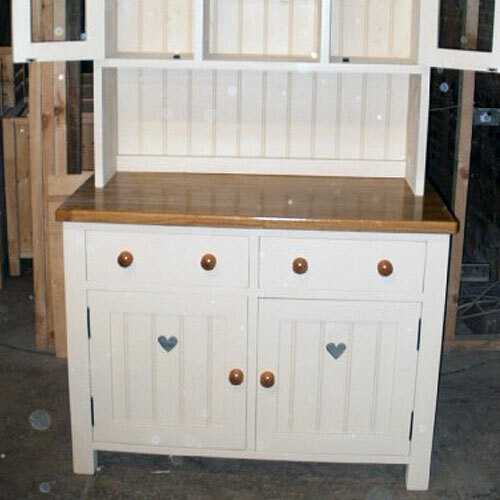 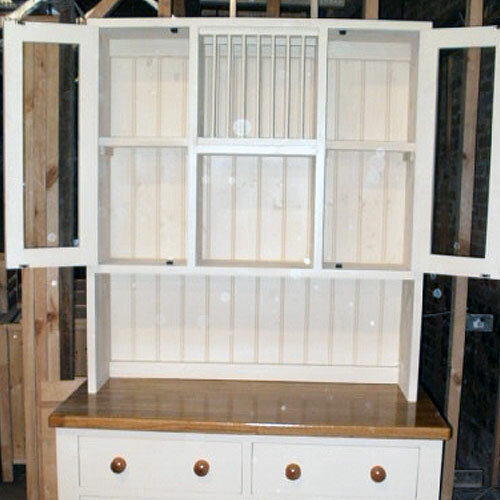 Description: Beautiful glazed kitchen dresser in our popular 'Queen of Hearts' range. 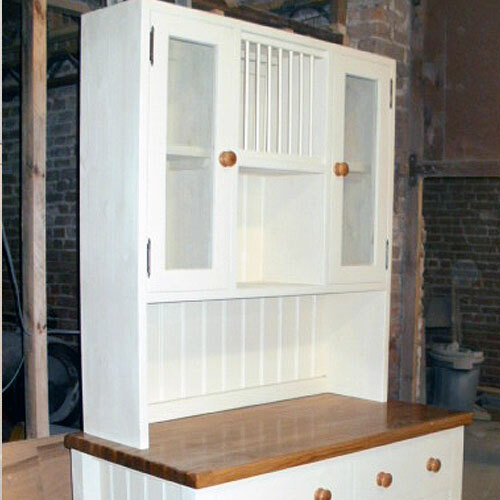 2 door, 2 drawer base with decorative cut-out hearts and a glazed 2 door unit above with feature plate rack and open storage compartment. 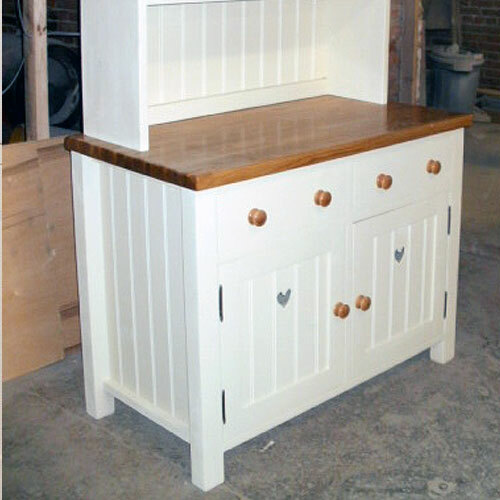 Complete with 4cm thick Oak worktop and wooden knobs.